Teeth whitening is one of the most cost-effective and hassle-free ways to enhance your smile. 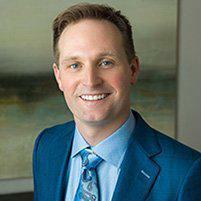 Scott Young, DDS offers the convenience and noticeable results of Zoom! professional teeth whitening at his practice in The Woodlands, Texas. The skilled dental team at Scott Young, DDS can conveniently whiten your teeth in a matter of hours. To learn more, call the office or book an appointment online today. What causes teeth to become stained? Your teeth can turn yellow for a variety of reasons. Certain medications, age, and the things you drink and eat can all be contributing factors. Surface stains on the enamel of your teeth from drinks like tea, coffee, and red wine can make your teeth appear yellowish. Tobacco and smoking are also significant causes. Yes. When you follow product specifications and instructions, whitening your teeth is a harmless process. The team at Scott Young, DDS provides Zoom! whitening treatments for safe, satisfying results. You may prefer to get your teeth whitened in only one appointment if you have a busy schedule, or steadily over time with a take-home teeth whitening kit. In both cases, the Zoom! whitening solution is completely safe to put on your teeth and in your mouth. You may, however, experience temporary tooth and gum sensitivity due to the bleaching agents. What can I expect during a Zoom! in-office teeth whitening procedure? A simple Zoom! in-office teeth whitening procedure can make your teeth up to eight shades brighter after just one appointment*.  During your appointment, a highly skilled team member at Scott Young, DDS fits your mouth with upper and lower dental trays. The trays hold the advanced whitening gel. Next, they cover your gums and lips to protect them from the solution. The trays are filled with the whitening gel and a unique LED lamp is positioned over your teeth. You sit back and relax as the bleach and light combine to whiten your teeth during three 15-minute treatments, all happening in a single office visit. You're comfortable and relaxed between treatments. At the end, your dental expert applies a gel to your teeth to minimize any post-treatment sensitivity you experience. Then it’s finished, and you’ll have whiter teeth and a gorgeous smile in about two hours. For a more gradual approach to whitening teeth over a couple of weeks, the team at Scott Young, DDS also offers at-home teeth whitening kits. To learn more about Zoom! in-office and take-home options for teeth whitening, call Scott Young, DDS or schedule a consultation online today. Let's work together to revive your smile!